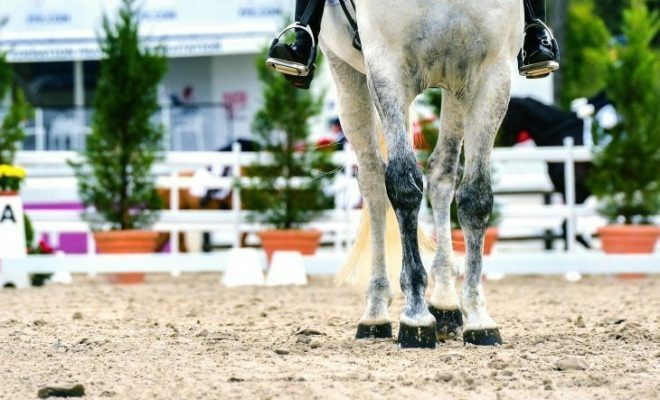 A fault that is commonly observed during dressage tests at all levels is the tendency for a horse to come behind the rider’s contact. If this is the case, comments you may find on your score sheets could include, ‘overbent’, and, ‘behind the vertical’. So, how do you stop your horse from coming behind the vertical? When is a horse ‘on the contact’? Firstly, let us be reminded of what on the contact is. The contact is not just confined to the reins and horse’s mouth. The horse is ‘on the contact’ when he is obedient and submissive to the all the rider’s aids – including the rider’s seat and weight, core, legs, and hands. From a combination of these aids, the horse is able to be ridden into the bridle and ‘on the bit’. The horse will be on the bit when the neck and shoulders are raised according to the horse’s level of training. The mouth will be closed and accepting of the bit, enabling the rider to ride forwards to the horse at the end of the reins. 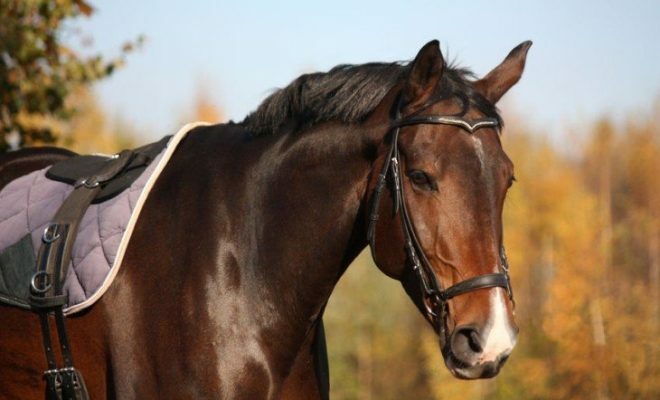 The horse will maintain a steady head position, but importantly, with the poll at the highest point of the neck, because the hindquarters have enough impulsion to keep it there. Sometimes, for various reasons, the poll does not always stay at the highest point of the neck. It may be too high, demonstrating a ‘hollow’ frame. Or become too low, demonstrating a shortened frame commonly known as ‘behind the contact’ (which is also described as ‘behind the vertical’) a commonly used phrase on dressage sheets. More often than not, horses that come easily behind the contact are quite light in the mouth. 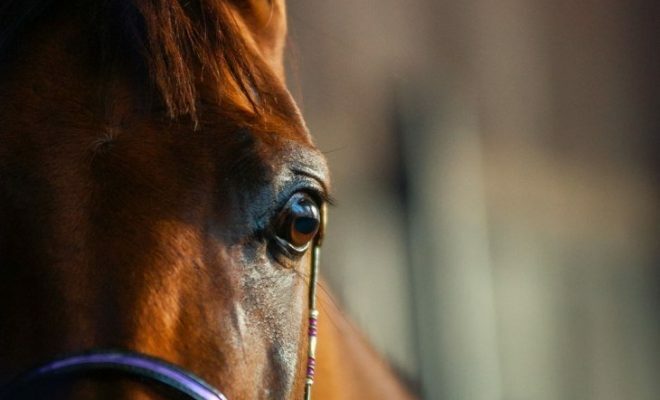 By staying behind the contact they can make the bit lighter in the mouth and resist working correctly by keeping the hindquarters disengaged, thereby not over-tracking or working from behind into the bridle. As a consequence, the rider cannot develop the gaits to show any engagement, self-carriage, or even changes of tempo within the paces. The rider will have limited ability to bend the horse correctly, thereby making it very difficult to teach the horse higher level movements, such as lateral movements. Very often horses that consistently stay behind the contact are also difficult to ride in a forward, active tempo. This has a negative effect on the quality of the delivery of the rider’s aids, consequently, the pairing becomes a picture of discord and antagonism. 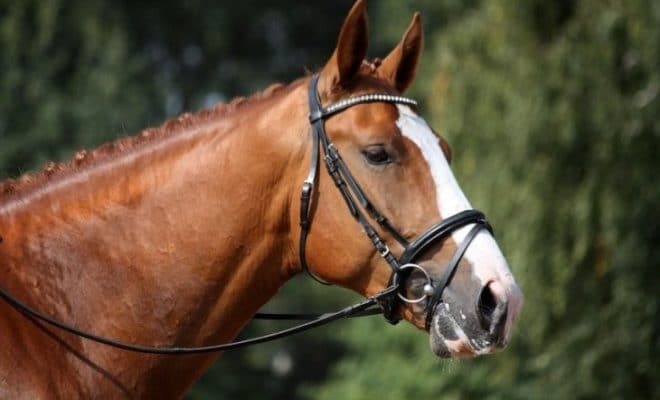 Sometimes, young horses do not have the balance or relative engagement to stay connected to the bridle and maintain the poll as the highest point for long periods. They may briefly come off the bit, either too low or too high, but quickly find the aids again and reconnect. With intelligent and sympathetic riding, this is ok, and to be expected with the young horses; they usually quickly allow themselves to be adjusted up to the contact. 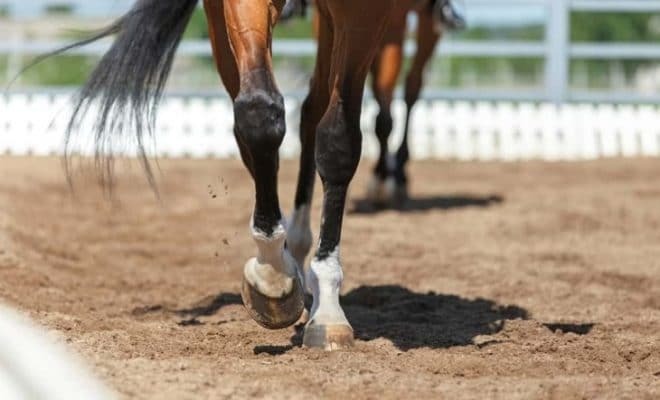 The problem becomes difficult to resolve if the young horse has learned to ‘sit’ behind the contact from early on in their career, with little or no correction from the rider. Sometimes the rider does not ‘feel’ the horse to be too deep and therefore does not make the quick, necessary corrections. Sometimes the rider is ignorant and believes that it is easier for the horse to stay behind the contact. This will quickly develop into the horse staying behind the aids as learned behavior. As a result of this, the horse can learn to resist, sometimes badly. There are a number of ways in which you can work with your horse to correct the problem of him carrying his poll too low. 1. Make the horse more reactive to the ‘go’ aids, namely the legs and seat. The rider may need to use a whip to ‘tick’ the horse’s hips in the rhythm of the tempo the rider wants to reinforce the forward meaning. The horse should learn to be helped with the whip and not become frightened by it. 2. Try not to ride with strong rein aids. Initially, it is better to ignore the position of the head and concentrate on maintaining prompt forward responses. When the prompt forward responses develop and become reliable, then you can incorporate ‘useful’, not antagonistic, rein (restraining) aids. 3. When the forward and restraining aids can be used collaboratively, allow the horse to build confidence and trust working within them. 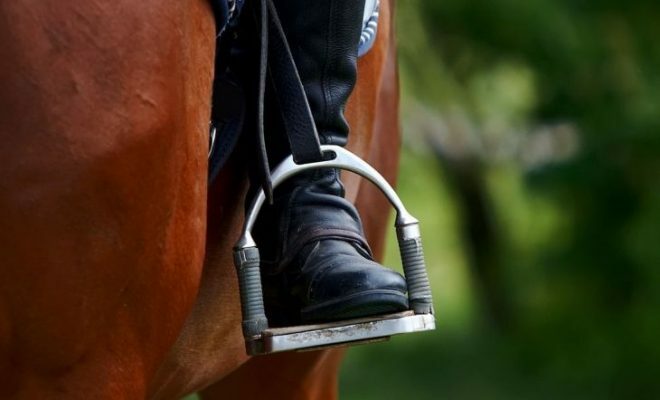 When the confidence builds, the horse will be able to connect onto the ends of the reins and from this, will be in a better position to keep the poll up and allow the rider to ride forwards into the bridle, not the other way around. 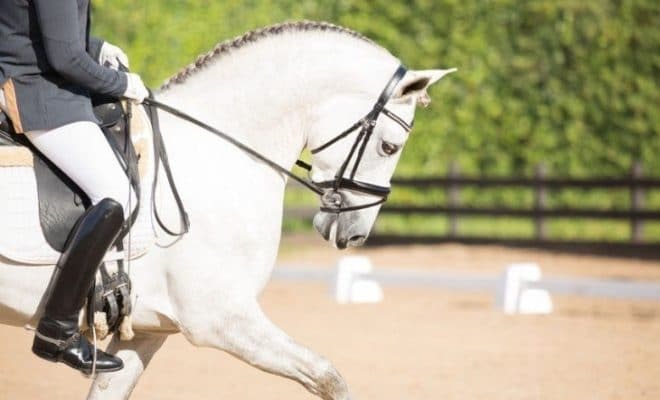 Slowly, over time the correctness and quality of the frame will improve and become more reliable, which will inevitably enable the rider to have more control of the horse and progression of the training, as well as being able to make necessary improvements to their position and riding ability. If you receive comments such as ‘behind the vertical’ or ‘overbent’ on your dressage sheets, don’t become disheartened. With systematic and patient training, as per the guidelines above, your horse’s carriage will gradually improve and become more consistent. 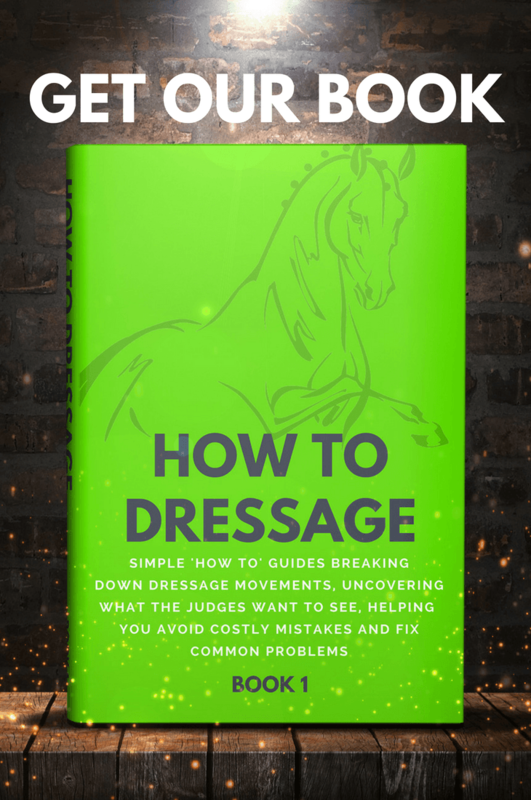 As with all new exercises, introduce the work methodically and slowly until your horse becomes strong enough to be able to carry himself correctly for the duration of a whole dressage test.